This European Standard specifies test methods for the performance characterization of stores which are intended for use in small custom built systems as specified in EN 12977 1:2018. 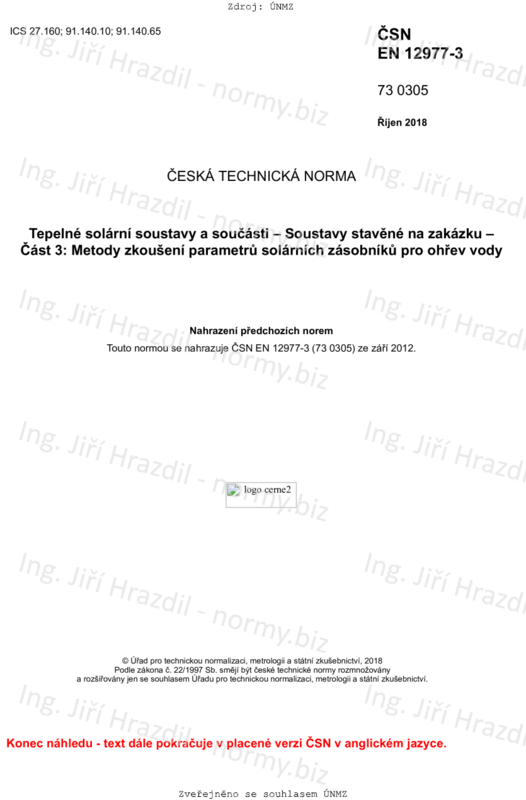 Stores tested according to this document are commonly used in solar heating systems. However, the thermal performance of all other thermal stores with water as a storage medium can also be assessed according to the test methods specified in this document. The document applies to stores with a nominal volume between 50 l and 3 000 l.
This document does not apply to combistores. Performance test methods for solar combistores are specified in EN 12977 4:2018.